| N | Y | Q |: With Ramadhan.. Of course, You Can Do It..!! With Ramadhan.. Of course, You Can Do It..!! "Change" is the vogue today. "Change", a drastic one indeed, is what we are witnessing with awe in the global weather patterns. If our change is limited to outer physical practices only, we become slaves to Ramadan, instead of being servants to Ar-Rahman (Allah, the Merciful). Prophet Muhammad[peace be upon him] has warned us about those who don't fast from bad behaviour: "Allah has no interest in any person's abstention from eating and drinking, if that person does not give up lying and dishonest actions" [Sahih al-Bukhari]. Every Ramadan we make resolutions and tell ourselves: "This Ramadan will be different. I'm going to change my ______ habit." "I will give up ………", "I will take my practice of Islam to the next level". But how many of us are really able to follow through? Plenty of good intentions, many amazing wishes, but sadly enough, life goes on as usual the morning of Eid. Ask yourself, how is my fasting benefitting my spiritual connection with Allah? How is my extensive worship in Ramadan helping me discipline my tongue (taste and speech), eyes, ears, and habits? Ways to Kick Bad Habits..!! 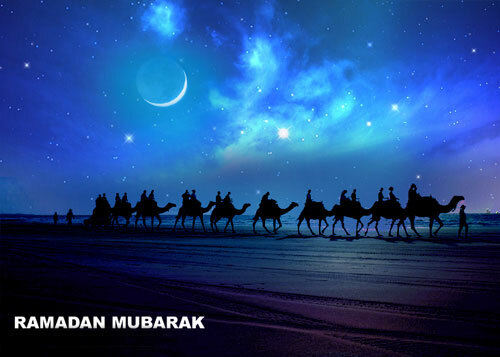 However, the good news is, Ramadan offers a perfect and natural environment for moral training. Interestingly, researches from "positive psychology" (scientific study of successful people) have repeatedly shown it takes between 30 to 40 days to kick a bad habit and develop a new one. In addition to the physical discipline during the month of Ramadan, the increased spiritual exercise and connection with Allah, can transform your habits for life. 9. Think of yourself as a changed, different, new person: This simple psychological shift in your thinking about your own image can do wonders. Tell yourself, "I can't continue this ill-behaviour. I am better than that. I am stronger. I am wiser." 10. Reward success: The most fundamental law in all of psychology is the "law of effect." It simply states that actions followed by rewards are strengthened and likely to recur. Unfortunately, studies show that people rarely use this technique when trying to change personal habits. Setting up formal or informal rewards for success greatly increases your chances of transforming bad habits into good ones, and is far more effective than punishing yourself for bad habits or setbacks. As Muslims we should also remember that the ultimate reward is Allah's Pleasure and Paradise in the Hereafter.